The cleaning of produced water during oil and gas production and exploration is a crucial, although costly endeavor. In the process of bringing oil and gas up to the surface from a well, several byproducts are also produced. Water is the largest of these byproducts by volume, with 882 billion gallons produced per day. This produced water contains a variety of other compounds and substances, including organic and inorganic compounds, grease, bacteria, and dissolved solids such as iron. Once brought up to the surface, this produced water must be treated and cleaned according to environmental regulations. Depending on the standards to which the water is cleaned to, produced water is either reused in: industrial processes for pressure maintenance, agricultural purposes/ other similar applications, or disposed of by re-injection underground or discharge to the sea. The process of cleaning produced water involves a diverse set of steps requiring instrumentation. Since water in different areas may require different treatment, and environmental regulations vary by location, there is not a universal process for cleaning produced water. However, there are fundamental requirements for treating produced water, so companies are able to get a basic outline of the cleaning procedure and the instrumentation required to successfully complete the process. After being offloaded, produced water is run through a debris filter into holding tanks. In order to detect and prevent clogging in the debris filter, a differential pressure switch is often installed. 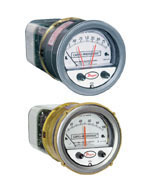 The Dwyer Series 43000 Capsu-Photohelic® Pressure Switch/Gage is an ideal instrument to use for this purpose, functioning as both a pressure switch and a precise pressure gage, with easily adjustable setpoint indicators. There are several holding tanks involved in the process of cleaning produced water, including the holding tank (immediately after the debris is filtered) and the settling tank (after the electrostatic coagulation procedure). Instrumentation is used to measure the levels inside the tanks, as well as control the flow of liquid in and out of the tanks. The Dwyer Model DPL110 Dual Point Level Switch is an excellent choice of instrument for monitoring the level inside a tank. The Model DPL 110 can maintain high and low limits for liquid level, using conductivity technology to sense liquid level. 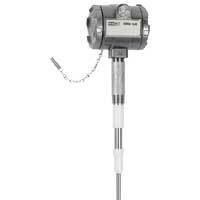 Capacitive level sensors, such as Dwyer’s Series CLS2, are also usually located above water dump valves on holding tanks, in order to detect a change from water to oil when produced water is being pumped out of the tank. When oil is detected, the level sensor sends a signal to the automation unit to stop pumping liquid from the tank. The Series CLS2 Capacitive Level Switch from Dwyer has no moving parts, and therefore no maintenance, and also uses an active guard to prevent material buildup common to produced water applications. Early during the cleaning procedure, the produced water is run through an oil/water separation process, during which oil is recovered from the produced water. 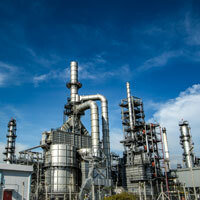 Measuring conductivity also plays an important role in oil/water separation. Conductivity sensors can be used to determine the difference between the conductivities of oil and water and send measurements to the automation system in order for the system to adjust the oil/water separation process as needed. The Model TDS2-10 Waterproof Conductivity/TDS Testing Pen measures the conductivity of liquids and monitors total dissolved solids in any body of water, making it a great choice for this step of the cleaning process. After the oil/water separation, produced water runs through a chlorine static mixer and an oxidation reaction tank. In these parts of the process, instrumentation measures pH, oxidation reduction potential (ORP), and conductivity in order to assert that the water is being treated to applicable environmental standards. Throughout the entire process, the flow of water through the cleaning equipment needs to be controlled. 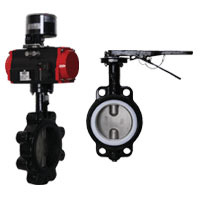 The Series WE20 Butterfly Valve is great for this purpose, using an air supply to drive the actuator ports. This Butterfly Valve is available in two-position or proportional control, making it the best choice for any part of the produced water cleaning process. Cleaning produced water is a costly endeavor, up to 300 times more expensive than cleaning municipal wastewater. It’s more cost-effective to use a single instrumentation provider who can fulfill all instrumentation needs for the process. Dwyer also provides technical support and troubleshooting for products after installation to help customers solve problems and fix issues quickly. Let Dwyer help you manage your produced water applications. For more information on any of the products mentioned above, please visit our website or call 1.800.872.9141 to speak to a technical engineer.